Dr. Benjamin Baumrind M.D. Joined Takle Eye Group in July of 2016, as a valuable addition to our retinal surgery team. Dr. Baumrind is board certified with the American Academy of Ophthalmology. Dr. Baumrind is from a family of dentists, but upon suggestion from his uncle he decided to pursue a clinical rotation in ophthalmology. He earned his bachelor’s of science from UGA in 2005, and his M.D. from the Medical College of Georgia in 2009. Dr. Baumrind’s residency was completed at the Institute of Ophthalmology and Visual Science in 2013. 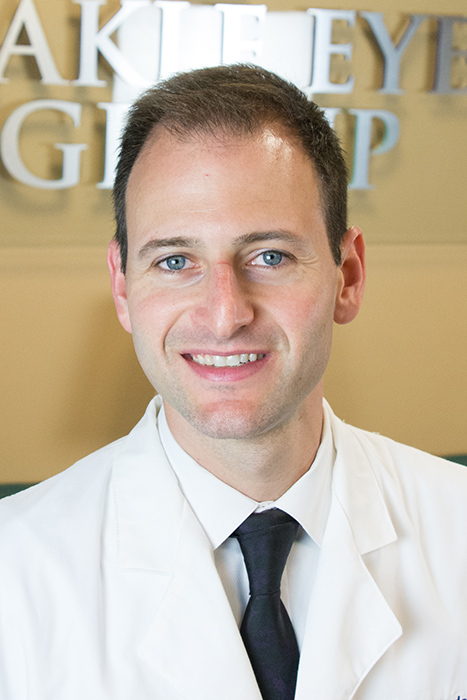 He most recently completed a two-year retinal surgery fellowship at Eye Consultants of Atlanta in 2014. Our Griffin offices will be Dr. Baumrind’s primary practice location. He is a surgical retina specialist, treating such conditions as diabetic retinopathy, retinal tears and detachment, macular degeneration, vein occlusions, hereditary retinal issues, and more. Dr. Baumrind has a clinical interest in the treatment and management of diabetic retinal issues and macular degeneration. Dr. Baumrind spends his free time at home trying to match the energy of his two children.